Right now, baby harp seals are lying peacefully on the ice floes off the coast of Newfoundland. As the sunset casts stunning hues of blue and gold across the icy landscape, the pups are gently rocked by the movements of the ocean. In between naps, they playfully take turns sliding off the ice and splashing around in the water, beginning the slow process of learning to swim and dive. They are blissfully unaware of the danger they are in. Canada's commercial seal slaughter is about to officially open, and the sealers are readying their boats, poised for another season of killing. One of the most beautiful places on earth is about to become one of the ugliest. Humane Society International is the only organization bearing witness to the slaughter. And though this will be my 17th year observing and filming the commercial seal hunt, it never gets any easier. Even from our helicopter - 1,000 feet above the slaughter - the amount of blood is overwhelming. It covers the ice, pours over the decks of the boats and slicks across the water. The crimson stain on this pristine environment is the grim evidence of the killing that happens here. Every year that I bear witness to this shameful event, I see suffering that most people could never imagine. The Canadian government admits that young seals are the targets of this slaughter because their skins are the most valuable. Not surprisingly, almost all of the seals killed in this slaughter are pups just a few weeks of age. It is unthinkable that these young, defenseless seals are subjected to such a violent death. The seal pups are either shot from vessels or clubbed on the ice floes. The constant movements of the water, sea ice, seals and sealing vessels, makes it practically impossible for the seal hunters to be consistently accurate when they fire their rifles and swing their clubs. Countless times, our cameras rolled as baby seals were shot and wounded, left crawling through their own blood. We've filmed hunters impale conscious pups on steel hooks, drag them across the ice, and cut them open. Other pups were wounded and disappeared beneath the water's surface, where they likely died slowly and painfully. In the face of this unimaginable suffering, there is hope. As our evidence of the seals' suffering reaches compassionate people around the globe year after year, governments are taking action. To date, more than 35 nations - including the United States, Russia and the European Union - have banned their trade in some or all products of commercial seal hunts. With markets for seal products closing fast, prices for seal fur in Canada have crashed. No longer able to turn a profit, most sealers have chosen not to participate in the slaughter in recent years. 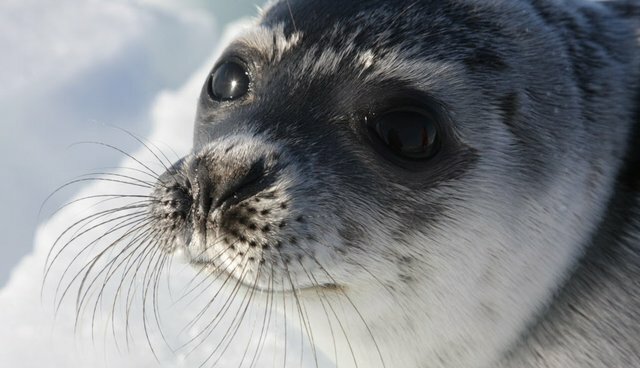 As a result, more than 1.8 million baby seals have been spared a horrible fate. This year, in light of the closed markets, many hoped that the commercial seal hunt might not happen. But days ago, the government of Newfoundland and Labrador announced a massive taxpayer-funded bailout for seal processors: $2 million in public financing to purchase the skins of tens of thousands of baby seals. The hardest thing I do is bear witness to the suffering of dying baby seals. To know they will meet such a gruesome end - only so that their skins can be used for fashion or just collect dust in a warehouse - is unbearable. My only comfort is the knowledge that every year, we move a bit closer to our goal of stopping the slaughter for good. I know the day will come when the stunning wildlife spectacle of the harp seal nursery is no longer seen as a resource to exploit, but rather a national treasure to protect. Until then, we will continue to tell the world the horrible truth about this senseless slaughter. The commercial sealers are about to leave for the ice floes. But so are we, and we are ready to document what the commercial sealing industry doesn't want the world to see. Rebecca Aldworth is executive director of Humane Society International/Canada.